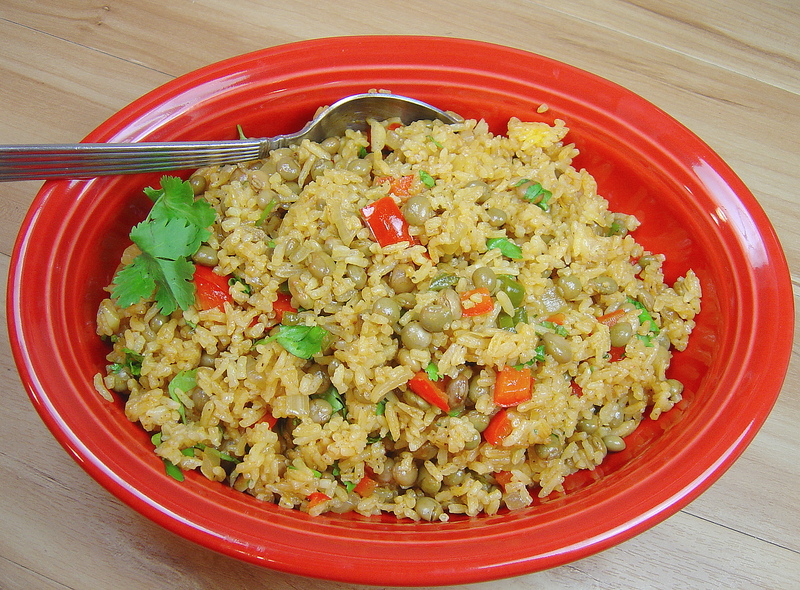 There was a recipe for arroz con gandules on the back of my can of pigeon peas. But I didn’t have the sazon achiote packets nor did I cook the rice in the mixture, and not the right amounts of ingredients and didn’t add any bacon this time, but I “made do”. Hope you like it- we thought it was good. Went swimmingly with some grilled jerk baby back ribs.